1) to practise asking "how old ?" 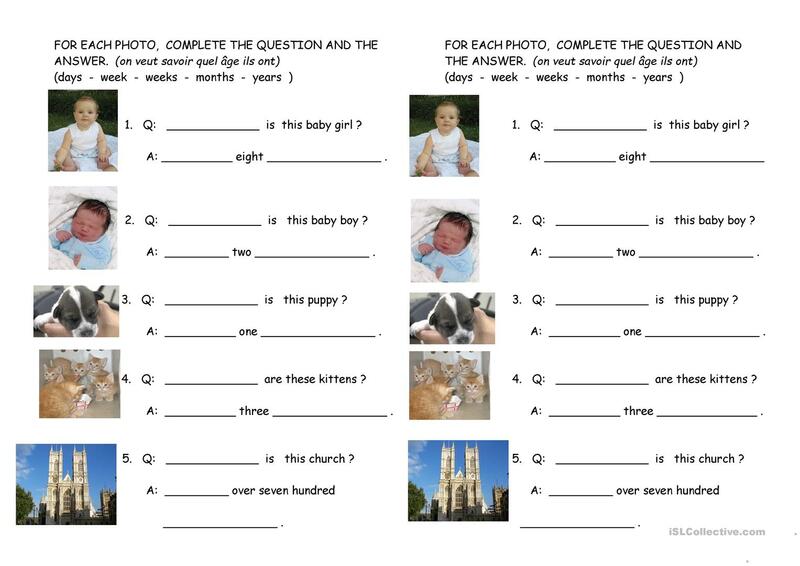 2) to realise that the answer need not be limited to "... YEARS old"; here it can be "... months old / ... days old"
The present printable, downloadable handout is best suited for high school students at Elementary (A1) and Pre-intermediate (A2) level. 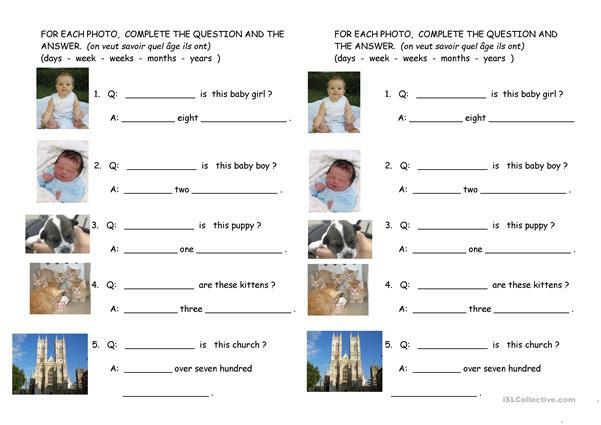 It is great for consolidating Questions in English, and is a valuable material for honing your learners' Speaking and Writing skills. It centers around the topic and words of Age.